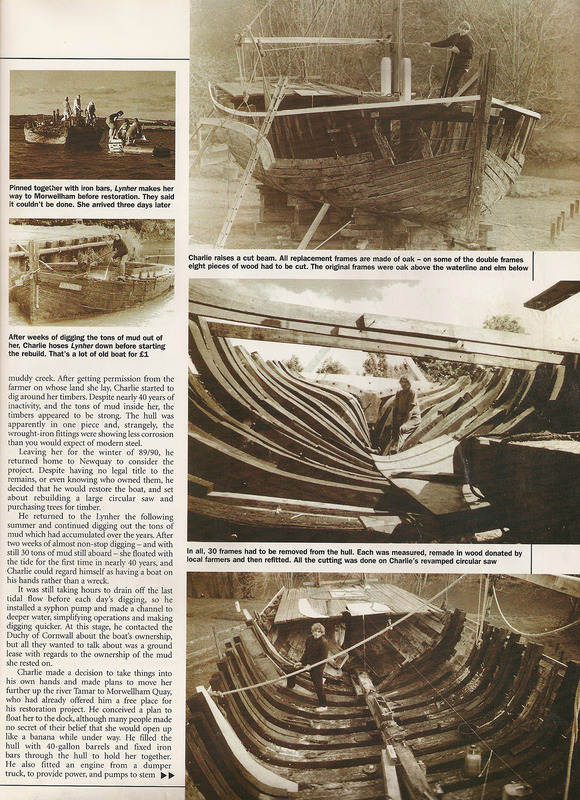 Our goal is to continue to restore and maintain “Lynher” to a commercial licensed standard in order to offer day sailing activities and voyages along the Plymouth waterways. Any surplus from the commercial operation is re-invested into the provision of educational activities for the riverside communities. In line with the philosophy of the extraordinary Charlie Force (see article below), the present owners of the barge see themselves as merely guardians of this symbol of river heritage. Hence the formation of the Lynher River Barge Community Interest Company which owns and operates the Lynher Barge. Its directors are: Robert Webster, Simon de Groot, Dominic and Barbara Bridgman. 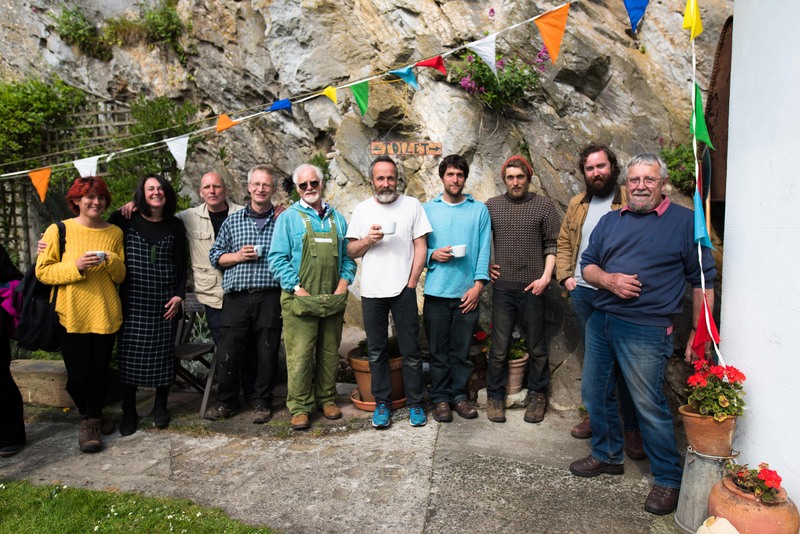 In the picture above from left to right: Sarah, Barbara, Simon, Dominic, Rich, Chris, Aidan, Ben, Rob and Phil. Dominic and Barbara both hold a considerable experience as sail training operators on historic ships. In the past three decades they have worked for various sail training charities and successfully managed a number of projects. 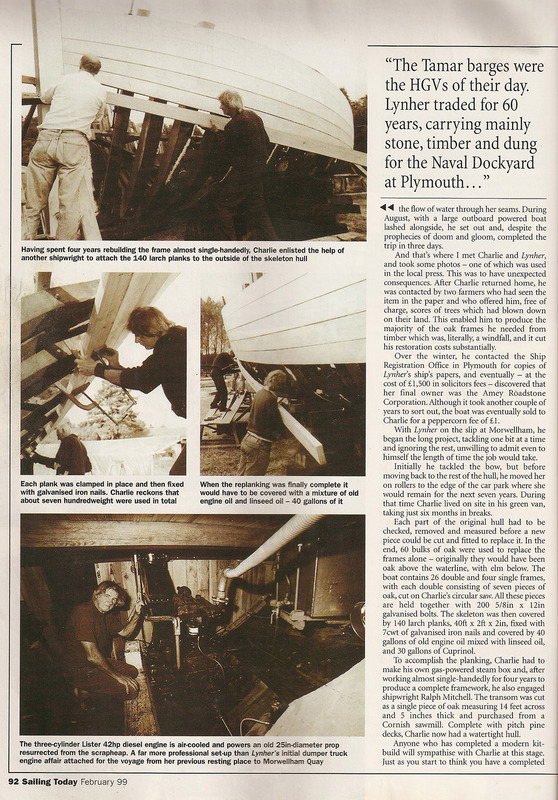 During the years they have taught a host of trainees, some of them now expert seafarers and boatbuilders themselves! Without them and other incredible people joining the project as it developed, Lynher would not be floating today. Rob Webster and Simon de Groot compensate our sailor’s nature with their expertise in business administration and acumen, their contribution towards the growth and development of Lynher CIC is invaluable. 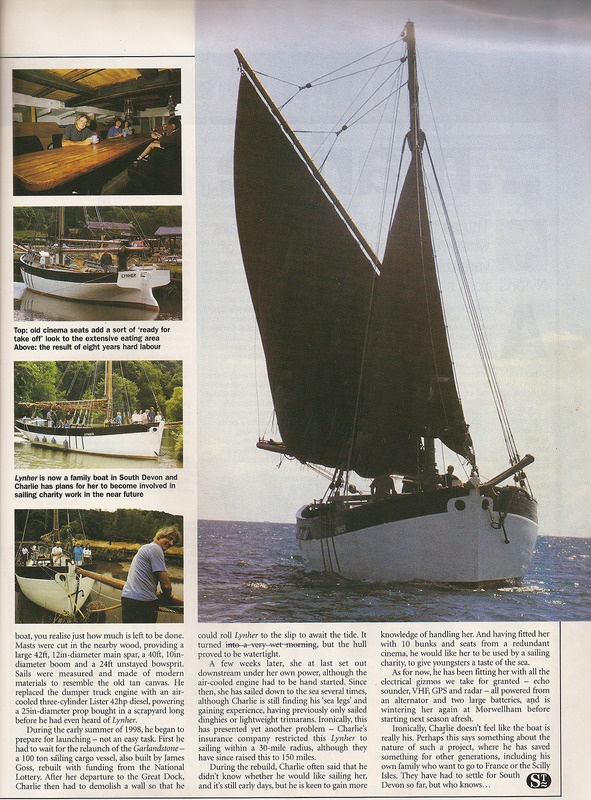 Our goal is to continue to maintain and operate the Tamar Sailing Barge “Lynher” to a commercial licensed standard in order to offer day sailing activities and voyages to the communities along the Plymouth Waterways.